Posted September 17th, 2012 by & filed under Dental Care. Posted September 14th, 2012 by & filed under Dentist. Posted September 12th, 2012 by & filed under Dentist. Why should I Call an Emergency Dentist in Tatamy? Posted September 11th, 2012 by & filed under Dentist. Posted September 10th, 2012 by & filed under Dentist. 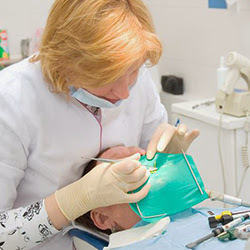 Why is an Emergency Dentist in Parsippany Important? Posted September 8th, 2012 by & filed under Dentist. Posted September 7th, 2012 by & filed under Dentist. Posted September 3rd, 2012 by & filed under Dentist. Your dentist in River Edge not only treats your teeth problem but checks your oral health and hygiene, recommends preventive measures to avoid gum diseases, tooth decays etc. and more importantly ensures that your teeth and gums stay healthy and functional for many years.